We are living in some interesting times, times that are calling us to embrace new ways of thinking, living, relating and collaborating. We are being called into greatness, and that can seem to be a pretty tall order. The truth is… it isn’t. The ability to create this kind of shift during our lifetime is inherent in those living here and now. It dwells within us all; it lives within you. You can use it to transform your life. Together, we can use it to transform the world. It is for this reason that in 2007 Higher Vision Institute was born. From the very beginning, we envisioned ourselves as a vibrant and thriving global community of people from all walks of life committed to using visioning as a pathway for personal and global transformation. 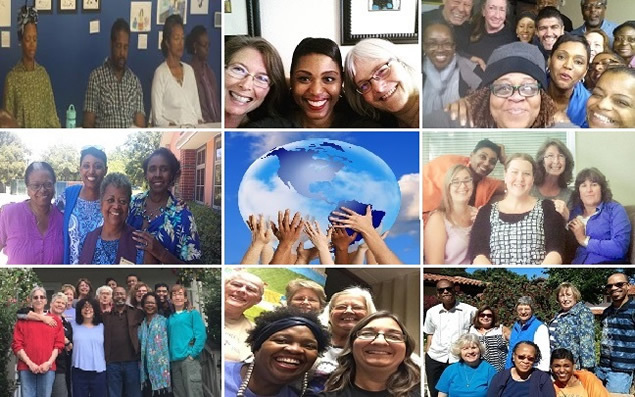 The images above represent a handful of the groups and organizations we've had the honor of facilitating presentations, visioning sessions, retreats for this past year. We do more than teach a technique; we embolden individuals and groups to take a quantum LEAP into their greatness, thereby positively impacting the people, projects and ventures in their lives and ultimately, igniting the planet with their gifts, talents and abilities. Whether you are new to visioning or a seasoned visioneer, you are welcome here. Let's ignite our lives and the planet with visioning!